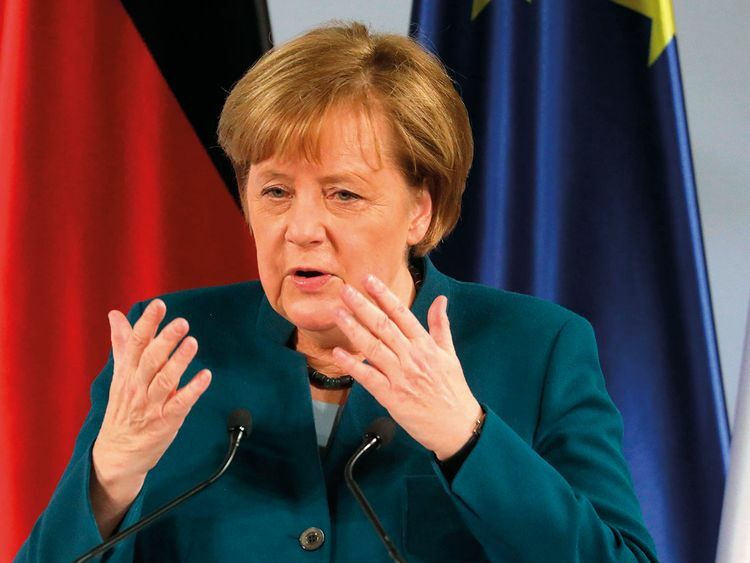 AACHEN: German Chancellor Angela Merkel warned on Tuesday against rising nationalism in Europe and called for a revival of cross-border cooperation as she and her French counterpart signed a pact renewing their countries’ decades-long friendship. The new accord was inked in the ancient western German city of Aachen exactly 56 years after the 1963 Elysee Treaty, which set the tone for the two countries’ close relationship following centuries of conflict that ended with the Second World War. “Populism and nationalism are strengthening in all of our countries,” Merkel told French, German and European officials gathered in Aachen’s town hall. Citing Britain’s departure from the European Union and the growing protectionist tendencies around the world, Merkel noted that international cooperation is going through a rocky time. Her words were echoed by French President Emmanuel Macron, who noted that France and Germany no longer pose a threat to each other. “[The threat] comes from outside Europe and from within our societies if we are not able to respond to the growing anger,” he said. The Treaty of Aachen aims to boost cross-border cooperation along the 450-kilometre Franco-German frontier, and also improve coordination between the two nations when it comes to tackling international problems such as climate change and terrorism. Merkel said that with the new pact, the two countries pledge to develop “a joint military culture” that includes a Franco-German arms industry and a common stance on weapons exports. “By doing so we want to contribute to the creation of a European army,” she said, noting that this would go hand-in-hand with greater foreign policy coordination in general. Germany and France are often described as the engine of the European Union — to the occasional annoyance of other members, who feel sidelined by the cosy relationship between Paris and Berlin.